If you’ve been feeling a little down in the dumps lately, it might be because of vitamins, or a lack thereof – specifically B Vitamins. These vitamins help to keep you happy and promote cellular growth and regeneration. These are some of the more common B Vitamins which if you don’t ingest either in food or kosher supplement form, can cause problems in the body. These vitamins improve the health of the skin, eyes, hair, liver, muscles and facilitate the breakdown of carbohydrates into energy. Fish is an incredibly nutritious food. The benefits of consuming a fish, which is dense in Omega-3, can be seem in numerous ways. In the early 1980s, researchers found that Inuit had low rates of heart disease, despite their high-fat diets of rich fish. It turned out that the Omega-3 fatty acids in the fish was actually beneficial to the heart and the rest of the body. If you aren't familiar, Omega-3 is an essential fatty acid which means our body can’t produce it on its own and needs outside help.Unfortunately, not everyone likes fish and would rather go without eating these Omega-3 rich foods, than get vital building blocks for their body. If this is the case for you or someone you know, kosher fish oil supplements are a great way to still get those essential fatty acids, without having to ingest your least favorite food. There is a multitude of benefits to the Omega-3 found in fish and kosher fish oil supplements. Omega-3 lowers triglyceride levels, improves concentration and memory, promotes healthy hair and nail growth, can help improve symptoms of depression, Alzheimer’s, diabetes, reduces the risk of strokes, and promotes the growth of muscles and the burning of fat. Vitamin D: Low levels of Vitamin D have been linked to health issues ranging from osteoporosis, diabetes, breast, prostate, and colon cancer. Most people get Vitamin D from the sunlight, but if you’re living in a habitually gray area, you will need to stock up on your vitamin D to feel your best. Fish oils: Fish oil supplements are a great way to protect your body from strokes and heart attacks. And they work wonders for your skin, hair and nails. The Omega-3 is great for you, so if you don’t like fish, take the supplements as an alternative. 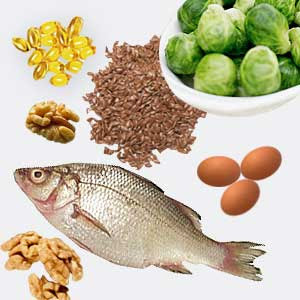 Selenium: Selenium is an essential mineral that most people are lacking in their daily intake. Particularly beneficial for males, selenium is said to increase sperm count and reduce the risk of prostate cancer. Folic acid: Folic acid is incredibly important in the regulation of many essential body processes. Some of these processes include cell maintenance and repair, synthesis of DNA, amino acid metabolism and formation of white and red blood cells. Multivitamins: Multivitamins are fail-safe ways to ensure your body is getting an adequate amount of the essential vitamins and nutrients it needs to function at its best. 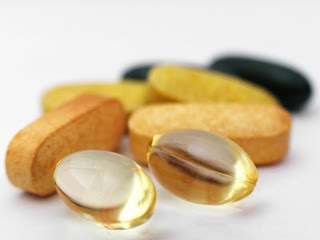 The health benefits of multivitamins are limitless and there are some that are specifically designed for men, women, kid, pregnant women, and more. To stock up on the kosher supplements you need, visit our store or our website. It's that time of year again! While most of us want to have a spiritual day, for some of us it seems impossible while fasting (like me). The upcoming fast is something we dread, at first we pretend we do not have an upcoming fast (which is why you “forget” all about it and don’t end up having Kali Zom in the house). Then when the fast is too close to ignore we do everything we have decided will work to make it easier (usually just a lot of folk tales that do nothing besides make it worse). We start of by gulping down cups of water, eating everything in sight and then there are the grapes… I don’t know if every family has this but in our house grapes are like magical beans before the fast. Everyone is eating them by the handful since it has water in it and you don’t want to end up being thirsty right? The week before the fast…. · If you are addicted to coffee, it is best to start the “withdrawal” process a week before the fast, since most people that experience nausea and headaches during the fast is due to a lack of caffeine. Quick Tip: Try using a coffee substitute like Green Field Barley Coffee or Teeccinoto fool your system, while trying to reduce the intake of caffeine before the fast. Green- for everyone, and each package includes enough for 3 people. Pink- for pregnant women, this package is enough for one person. Blue- for nursing women this is also one serving size. · Drink lots of fluid before the fast (and after) rather then gulping down 10 cups of water 10 minutes before the fast, try drinking lots of fluids throughout the day. This will help prevent dehydration on the day of the fast. · While it is tempting to eat everything in sight before a fast overeating will actually only make you hungrier in the morning. The last meal before a fast……..
2. Eat protein and foods high in oil and fats: these are delayed in being emptied from your stomach and therefore will keep you full for longer. 3. Avoid salty foods: most of know that salty foods makes us feel thirsty even if we have consumed a normal amount of water, before a fast eating salty food can end up causing you to feel thirsty the entire next day! 4. Avoid salads and high fiber food: you may be tempted to stop reading here or have fainted in shock by the remark, however while usually salad and high fiber food is highly recommended before a fast it is not. Both salads and high fiber food travel though our systems fast and can cause us to feel hungry much sooner. 5. Eat Fruits: so maybe the grapes aren’t a bad idea after all? Fruits although they are definitely high in fiber carry a lot of water that is great. 6. Take Koli Zom: If you are taking the regular Koli Zom now would be the best time to take. PLEASE NOTE: if you plan on using the blue or pink Kali Zom these have to be taken in the morning before the fast too. The day of the fast……. · Wear comfortable clothing- do not wear clothing that make you sweat, this will cause your body to lose water. · DO NOT THINK ABOUT FOOD- this may seem the hardest to do, however thinking about food makes your body start to prepare itself for a meal causing you to become hungry. · For some people sniffing spices helps easing hunger. We know fasting can be difficult, but hopefully the above tips will help make your fast a little easier, since at Landaus Health Tree we pride ourselves in caring for our customers. Let us know what helps you fast better? And have you tried taking any supplement like Kali Zom before a fast? Come pay our store a visit and we will help you! !